Hi everyone! 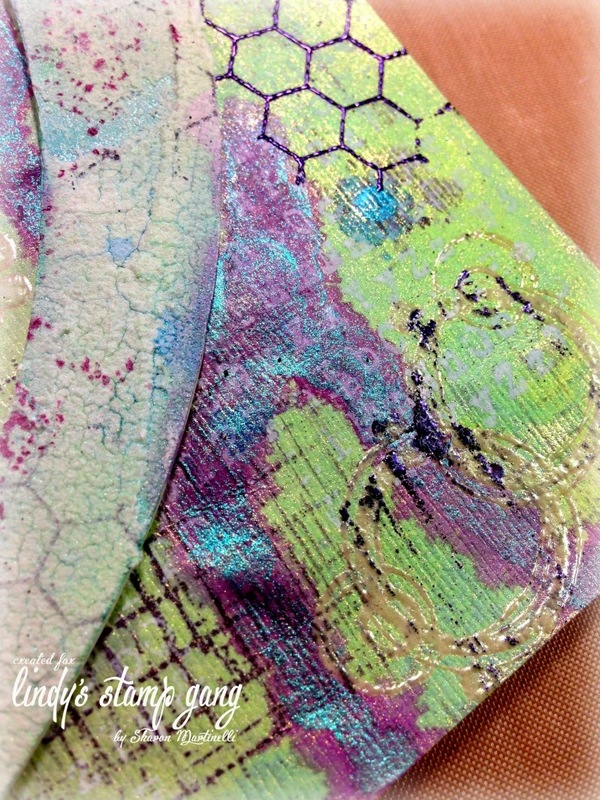 It’s Sharon here today, and I’m sharing what I like to call an “Color Challenge in Depth “post. 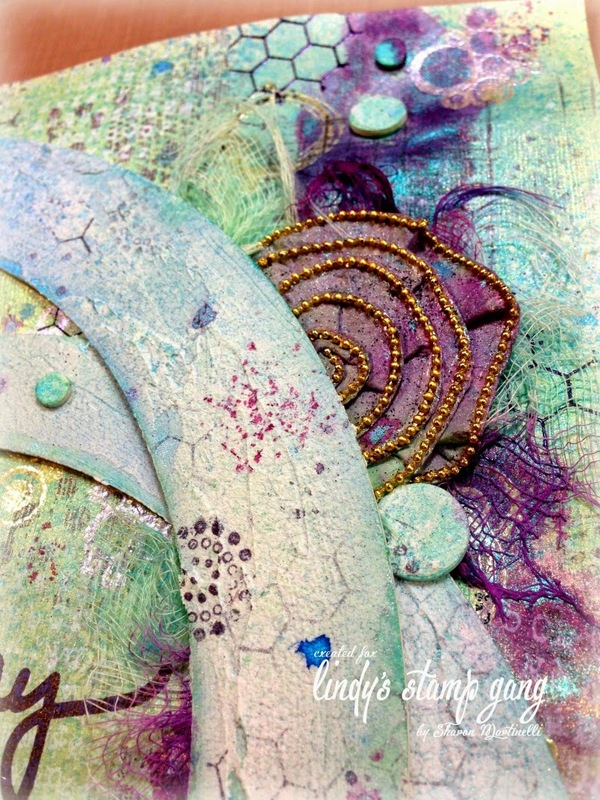 You usually see us posting here the first of each month, the monthly color challenge, along with inspiration pieces from our designers, but you never get to see here in detail what the makings of those projects look like.Seems like just a few days ago the month of August started, and the Lindy’s Stamp Gang Color Challenge was revealed, yet it’s just a few more days until times run out for that particular challenge! 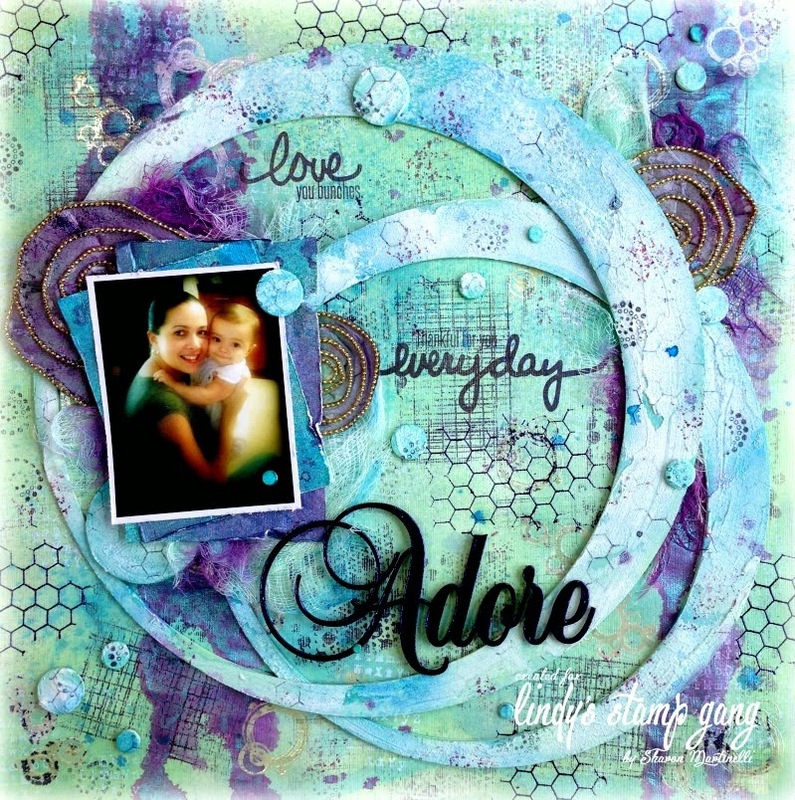 As an inspiration piece for it, I created a mixed media layout, and today, I’m sharing with you the step by video tutorial of how I made it. A lot of people seem to like these types of start to finish videos, and I hope you enjoy it below. And here is a picture of the entire layout. Please find the step by step video tutorial below as well. 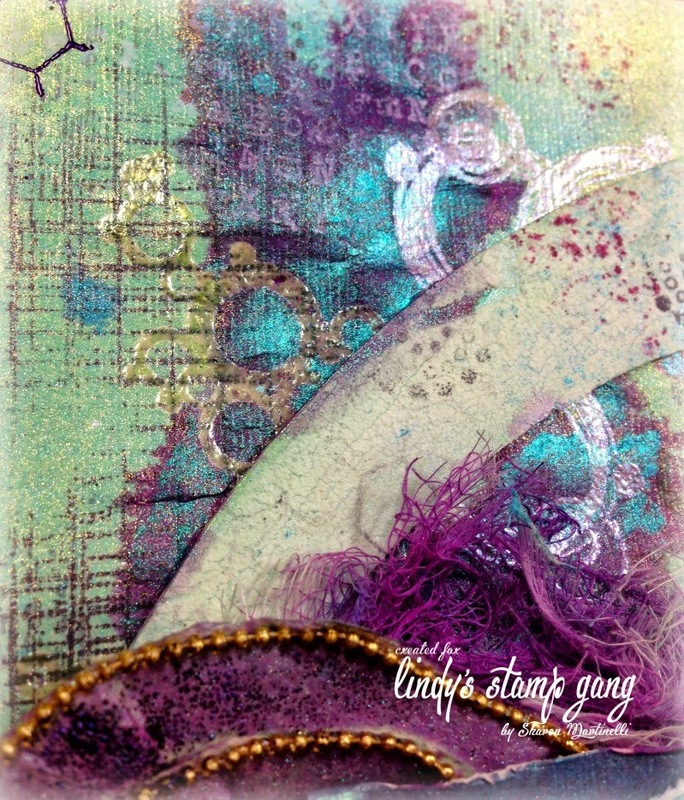 Hope you enjoy it, and are inspired to join in the challenge this month, for a chance to win $50 gift certificate to the Lindy’s Stamp Gang online store. You can enter by clicking HERE. Absolutely LOVE it, great colours !! Thanks so much for your feedback! I really appreciate it! Thanks so much for stopping by and so glad you enjoyed the tutorial! 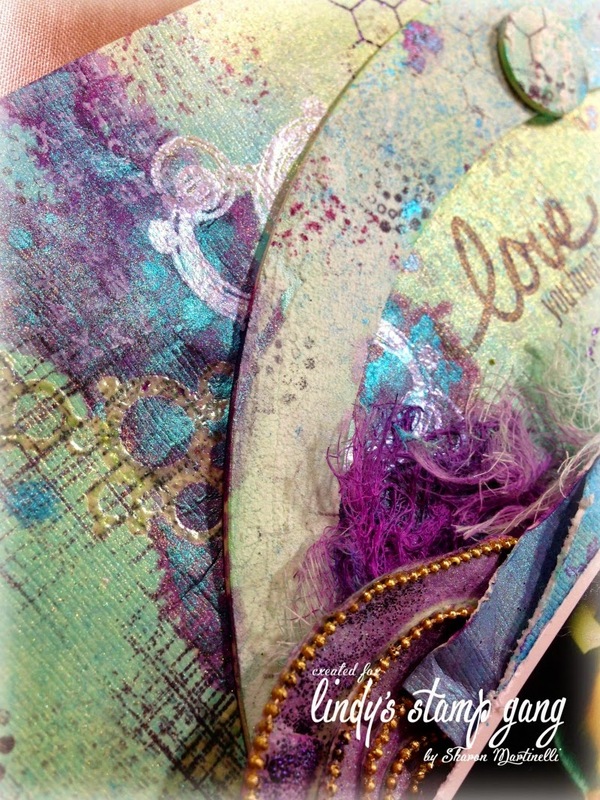 Stunning background and colors, love the textures too!! Stunning Layout! 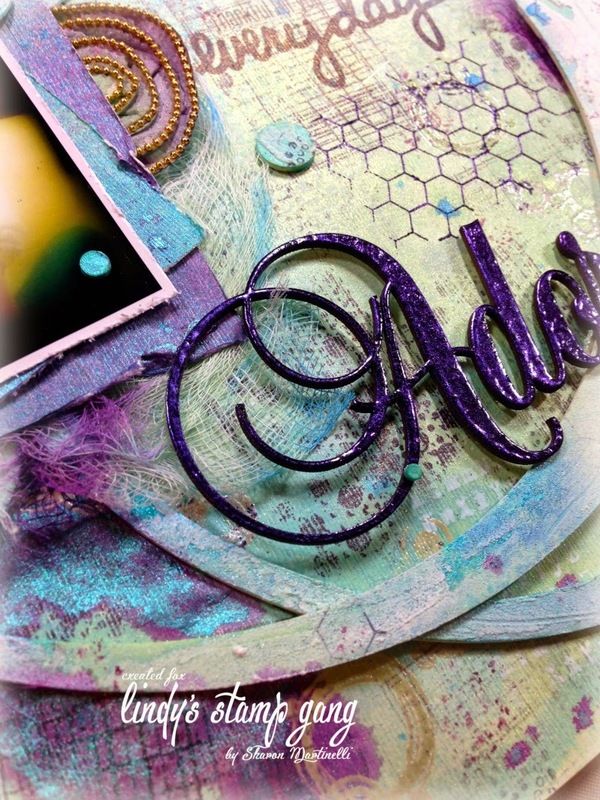 I love the use of the embossing powders on the background, looks sooo gorgeous! So cool! I love the colours and all the beautiful details!